Tracker categories are movies, TV and TV with the choice of 4k/UHD, 1080p, Bluray-Full, Packs, 720p, REMUX, Audio/FLAC and SD/X264. 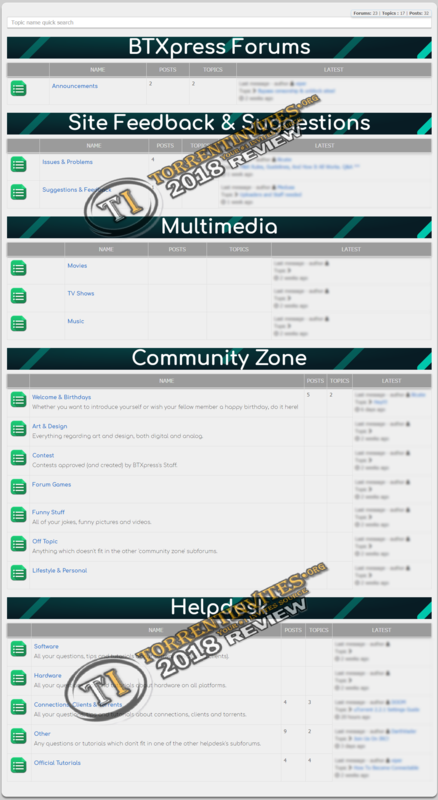 Remembering this tracker seems new, not all categories will be full of content or have any at all so patience is needed. All members who join up will receive 50GB towards their upload and have access to the global freeleech event currently running. 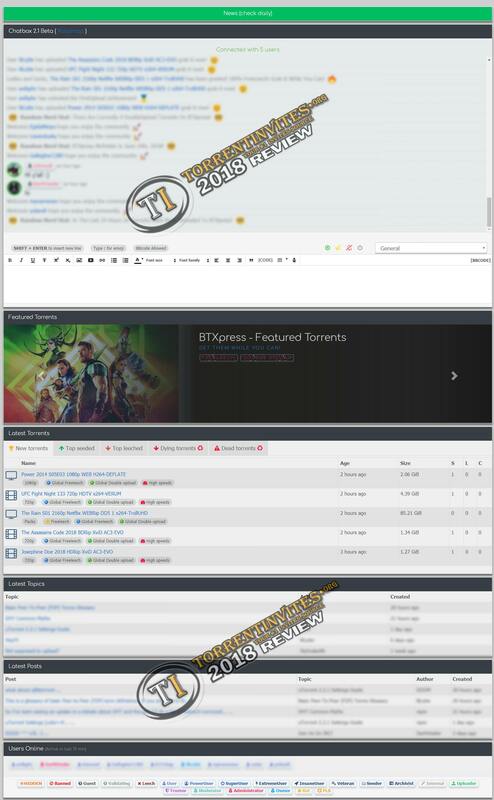 BTX also have a bonus point system where you can exchange points for upload amounts, personal FL and invitations. TheTrader, kirill, jimmy7 and 6 others like this.